Anton Chekhov is revered as a boldly innovative playwright and short story writer—but he wrote more than just plays and stories. 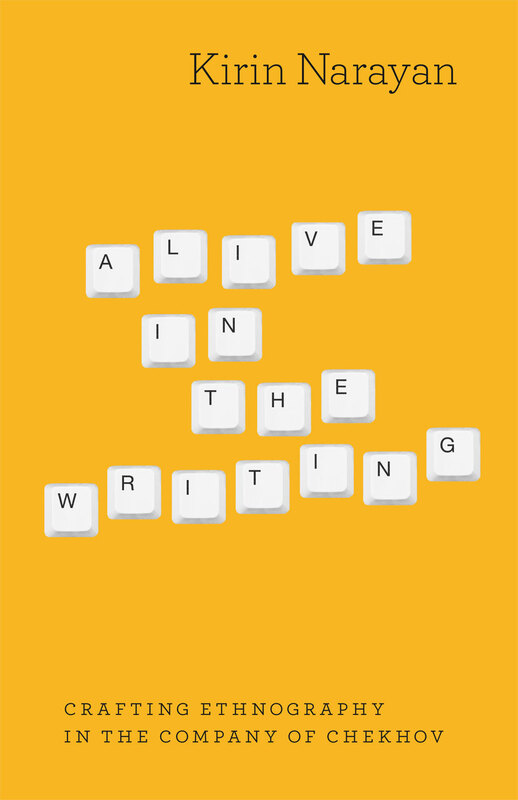 In Alive in the Writing—an intriguing hybrid of writing guide, biography, and literary analysis—anthropologist and novelist Kirin Narayan introduces readers to some other sides of Chekhov: his pithy, witty observations on the writing process, his life as a writer through accounts by his friends, family, and lovers, and his venture into nonfiction through his book Sakhalin Island. By closely attending to the people who lived under the appalling conditions of the Russian penal colony on Sakhalin, Chekhov showed how empirical details combined with a literary flair can bring readers face to face with distant, different lives, enlarging a sense of human responsibility. Highlighting this balance of the empirical and the literary, Narayan calls on Chekhov to bring new energy to the writing of ethnography and creative nonfiction alike. Weaving together selections from writing by and about him with examples from other talented ethnographers and memoirists, she offers practical exercises and advice on topics such as story, theory, place, person, voice, and self. A new and lively exploration of ethnography, Alive in the Writing shows how the genre’s attentive, sustained connection with the lives of others can become a powerful tool for any writer. "The sustained interaction with Chekhov’s life, work, and writing practices is unusual for a book devoted to craft, but it’s a very productive and enjoyable through-line. The author weaves together rich examples from anthropological texts, and these examples collaborate beautifully with her inquiry into Chekhov’s artistry and with the writing exercises she presents. Elegant in their simplicity and sensibleness, the exercises invite readers to experiment, and they help translate theoretical concepts into concerns that writers of all levels share."